Here at ApplicantPro, our drive is to help clients make smarter and holistic decisions when it comes to leading the people within their organization. If you’re like us, you know that the talent landscape is experiencing an evolution at an incomparable pace. With technology at the helm of workplace innovation, newer generations in the workforce are approaching work by a different method– and it’s not quite what you’d expect. 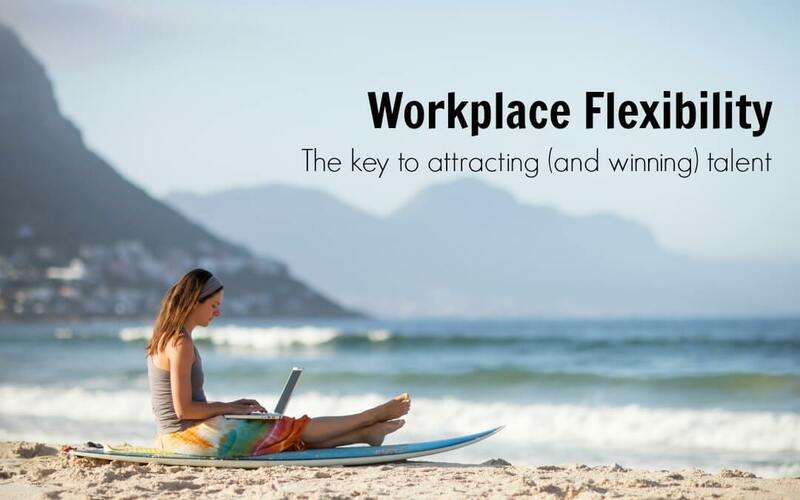 In order to understand what those “crazy” millennials are up to, it’s critical that business leaders learn the fundamentals of workplace flexibility. Organizations are going to have to ditch the meaningless frills and offer workplace solutions that are enticing to workers. Since the birth of the 9-5, seasoned pros in the workforce equated their work ethic to the amount of time they spent in the office. That ship has sailed as newer employees– Millennials in particular– are ditching traditional set hours for a more flexible schedule. While it may seem like a foreign concept, these intelligent and tech-savvy workers have a point– and it’s a valid one. Gen Y, or Millennials, as they are called, often get a bad reputation for being lazy, when in fact, that “laziness” is actually efficiency. This means that a Gen Y employee is going to look for the fastest and most efficient way to complete a task. Often times it’s through the use of an app or device; and there’s a reason for that. In order to understand their methods, it’s important to recognize the influence of technology at an early age. Gen Y is the first generation that grew up with technology readily available in their homes. That immediate access of technology has taught younger employees to look for the most efficient process to finish the job. It’s not because they don’t want to work hard. In contrast, they are digitizing specific work processes that allows them to allocate more time to complex work situations, like business development. It’s not because they don’t want to work hard. Recently featured in a FastCompany article, mega companies Asana, Dell, and Dropbox, shared their results after test piloting their respective workplace flexibility programs. Tech company, Asana uses their unique collaborative style to offer their employees flexible schedules. Employees have full control over how and when they choose to work. While encouraged to come into the office, Asana employees don’t have to worry about having their hours tracked– giving them the autonomy and freedom to be a productive member of the Asana team. Even better, employees can enjoy a 6-week sabbatical after working for the company for 3 years. The Dropbox team began offering employees unlimited vacation in an effort to improve employee engagement. “We’ve found that when employees are given flexibility, they are more highly engaged,” says Melanie Collins, global head of people partners, in the recent interview. In addition to unlimited PTO, Dropbox also constituted “No-Meeting Wednesday”– allowing employees to work uninterrupted. Employees have the option to work at home, though others choose to “walk around the office and have more organic conversations with their colleagues.” As a result of these changes, Collins says, Dropbox saw a 10% increase around the issue of work-life balance in its annual employee engagement survey. Organizations have to make strategic cuts that benefit the bottom line while enhancing productivity. Incorporating a remote team requires a tricky yet nimble approach. Organizations have to make strategic cuts that benefit the bottom line while enhancing productivity. Pledging to have 50 percent of their workforce operating remotely by 2020, Dell is well on their way. At the moment, 25% of the workforce—approximately 25,000 employees—have made arrangements with their supervisors to regularly work a flexible schedule. Employees are able to choose the location, tools, technology, and level of support needed to achieve a viable remote solution. “Beyond that,” he says, “we know another 20% work flexibly as they are able to from home, coffee shops, and hotels.”Encouraging employees to work flexible schedules has not only increased employee satisfaction, says Price, it also has saved Dell $21 million since 2013 in real estate costs by allowing Dell to consolidate or exit underused office space. Last year, 93% of employees said in a company wide survey that flexibility helps them to be successful, Price says. Millennials know that not every work function can be automated. That said, companies looking to keep up with the changes in the talent landscape need to offer work arrangements that appeal to the diverse lifestyles of desired candidates. Providing flexible schedules and work arrangements for your employees is a step in the right direction. In conjunction, it takes a strategic approach to ensure smooth sailing. The revolution in the workplace has already left the station– are you on board? Contact us today to learn more about workplace flexibility and employee engagement.